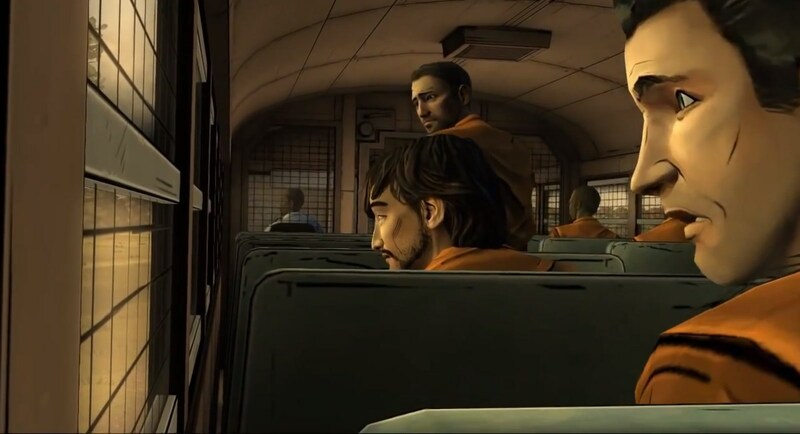 The first season of Telltale's The Walking Dead games was unquestionably amazing. More of an interactive story than a game, you made and lost friends, you saved people, you left others for dead, but more importantly you protected Clementine, an 8 year old girl, and taught her to survive. It was all of these things combined that made The Walking Dead such an emotional roller coaster. The decisions are hard, and you can't always do the right thing for everyone. It was an incredible experience, and fans hankering for more need not worry, as 400 Days, the final piece of content for season one, is available now. It may not be the longest DLC, but it's definitely worth buying. Read on to find out why. It's not a continuation of Lee and Clementine's story, but instead five very short episodes. Five different people, in five very different situations, that take place in five different days from the first 400 days of the apocalypse. You can play the five different stories in any order, and they're all based in or around Red's Diner, a truck stop in Georgia. 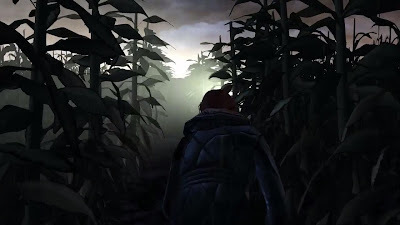 Some of the survivors you'll play as have set up base there, some merely make a short stop on a longer journey, some simply pass by, but all of the stories interweave and connect. There are references in each character's episode to all the other episodes, and it had amazing attention to detail. 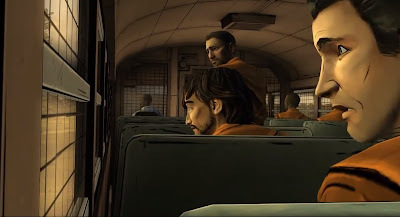 The choices you made in the first season also have an effect, and keen-eyed players may find a familiar character. 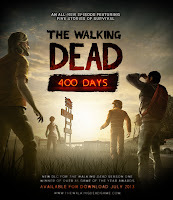 The issue that a lot of people may have with 400 Days is just how short it is. Each of the stories takes around 10-15 minutes to complete, clocking in just over an hour for full completion. It costs the same as a full episode, which were undeniably cheap, so it's hard to complain too much. It's clear from playing each of the five stories that Telltale has worked on making the gameplay faster and more interesting, and there are so many moments that require you to play a new section, something not done in the first season. All of these new mechanics just go to show how far Telltale are taking this series, and it's very promising for the second season. It isn't without fault though, and some issues from the first season make an unwelcome comeback. There are lip synching issues, some framerate stutters and one particularly annoying bug that had a character stuck in a table, unable to reach the item necessary for progressing. After restarting, it was fine, but you don't want to have to be pulled out of a story like that, it's completely immersion breaking. 400 Days is a magnificent final chapter for season one of The Walking Dead. It introduces new characters in very quick succession, and completely gets you excited for the second series. Sure it's buggy, and it's quite expensive for the amount of time it takes to complete, but it's fantastic. Five interesting short stories, with new characters, all with incredibly different back-stories, to pave the way for season two. Anyone who enjoyed the first five episodes needs to download this right away, you will not regret it.